Qualcomm today announced a major expansion of Spectra, its effort to offer manufacturers a drop-in hardware and software solution for easily and affordably adding advanced camera technology to phones and other devices powered by Qualcomm Snapdragon chips. The expanded Spectra suite includes three new hardware camera modules. 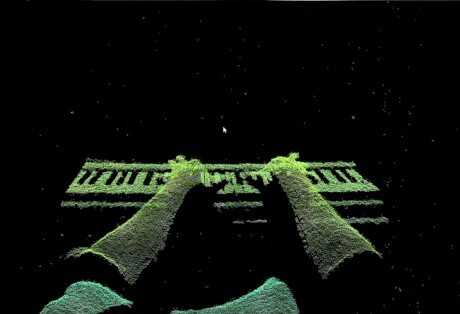 The flagship module is an active depth-sensing camera that uses an infrared projector and camera to create a 3D map of its environment, much like LIDAR. The other two new modules are a passive depth-sensing version using two standard cameras, and an iris-scanning front camera. Previous Spectra modules focused on photography, while the new modules enable and enhance additional phone functions, including biometric security, advanced AR, room-scale VR, and AI-powered object recognition. Spectra hardware modules are designed with Qualcomm's guidance, but are made by third-party vendors. Each type of module is offered in one version from one vendor. The Spectra suite also includes ready-to-go driver software tuned to each hardware module, and uses unique ISP technology built into the company's Snapdragon chips. The three new camera modules rely on a new version of the ISP — to be found in future Snapdragon chips — that has been redesigned from the ground-up to be optimized for depth-sensing. The active depth-sensing hardware and software is compatible with Google's Tango AR platform, and should enable Tango phones that are smaller, cheaper, and have much better AR performance. When used for VR applications, the active depth-sensing can be used for position tracking that's good enough to enable room-scale VR in phones. This new version of Spectra also includes advanced new algorithms to reduce noise and improve low-light performance in both still photos and video, by intelligently analyzing multiple frames. The new capabilities will be part of the next generation of Snapdragon chips, which has yet to be announced. Motorola today announced two new smartphones, the Moto Z Droid and Moto Z Force Droid, both of which adopt a modular design that allows users to enhance them with attachable accessories. The phones are spiritual successors to last year's Turbo 2 and Maxx 2 handsets, but take on new design language in addition to support for the Moto Mods modules. Motorola today said consumers who purchase the new Moto Z2 Force at any time between now and September 10 will receive a free projector Moto Mod. Consumers can buy the Z2 Force via any channel, such as a wireless carrier, electronics store, or Motorola.com. Apple today announced the iPhone X (iPhone 10), a more advanced smartphone that serves as the company's flagship device. It boasts an edge-to-edge display with glass on the front and back surfaces. Qualcomm today announced new antennas that will bring mmWave and sub-6 GHz 5G to mobile devices such as smartphones. The QTM052 mmWave module and QPM5xx sub-6 GHz RF module are compact enough that they are suitable for phones.